Definitions of drought vary. A meteorological drought happens when snow and rain are diminished. An agricultural drought is tied to soil moisture and can be influenced by the type of soil and the crops and vegetation grown. A hydrological drought refers to lessened runoff from snow, which in turn means less water ending up in surface reservoirs. 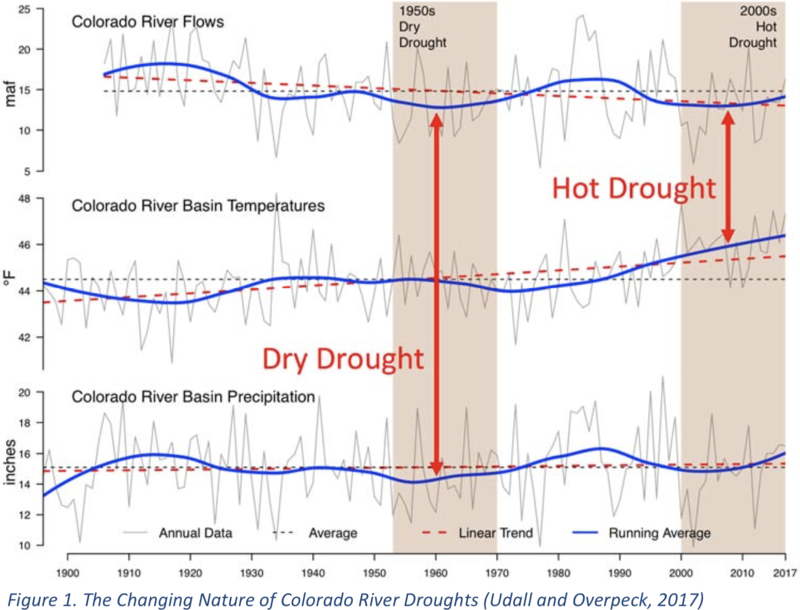 Here’s the link to my post about the late Kelly Redmond’s commentary, “The Depiction of #Drought,” required reading from professor Fleck.